Chapter 7. 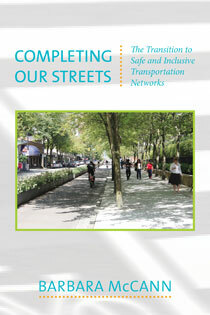 Answering a Loaded Question: How Much Do Complete Streets Cost? After you enter our bike-to-work contest, sit down with this week's foreword Friday selection from Barbara McCann's Completing Our Streets. The excerpt below gives a glimpse of what inspired Barbara McCann to begin the crusade for more inclusive streets.